Step 1: Open Edge's main menu (three dots in top-right corner of browser). Choose "Settings". Step 2: Scroll down and choose the “View advanced settings” button at the bottom of the panel. Step 3: Scroll down again until you see the “Change search engine”. 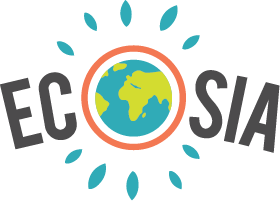 Step 4: Choose www.ecosia.org from the list of available search providers and choose "Set as default". That's it! Now try a search for something like "Berlin". You can always edit settings, make Ecosia your homepage or remove it again from Edge's Settings panel. How do I make Ecosia my default search engine in Firefox?